Leather is one of nature's most versatile and sensual materials. It offers comfort and durability in a variety of beautiful finishes, textures and colors. We know leather. Its characteristics. Its value. The way it makes you look good and feel good like any luxurious item should. 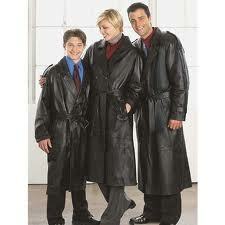 The great selection in todays leather fashions provide years of pleasure and long-lasting use. Through our experience we've learned the best methods for maintaining leather. The following information explains how leather is made and the best ways to keep your leather looking its best for years to come. 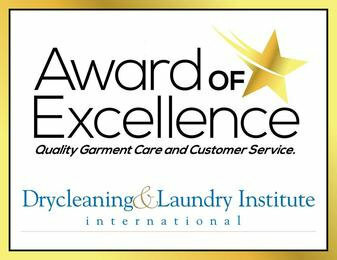 We are certifiied SuedeLife leather cleaning company and utilize their technology and processes. Why Take Your Leathers Anywhere Else? Leather has been made in various locations around the world for more than 5000 years, and the first tanners guilds have been traced as far back as twelfth century England. Although tanning methods have changed with new technologies, the end result is a product that has been valued for centuries. The first step in the modern tanning method is to apply a protective treatment to the hides (whole pelts from cattle) or skins (the pelts of younger or smaller animals). Next they are put through a chemical process to keep them soft and flexible. Now the tanners can work with the leather to adjust the thickness, color and apply a variety of finishes. 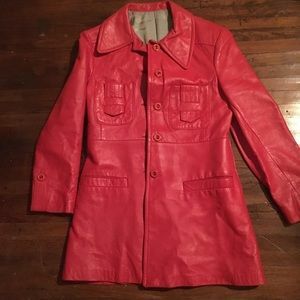 The end product is sent to manufacturers, who cut and sew the leather into apparel and accessories. When most people see leather, their first reaction is to touch it. The way leather feels is called its hand. In general, the softer the hand, the higher the cost. The raw material, which is a determined by genetics, greatly influences the quality of leather. Every hide and skin has sections that are naturally wrinkled, softer or thinner in certain areas. Environmental factors, including climate and food supply, also affect the final product. Since leather is a natural material, it is never uniform. Its small surface imperfections create a unique beauty that can never be duplicated. Consider the cut, style and lining that work best for your lifestyle. 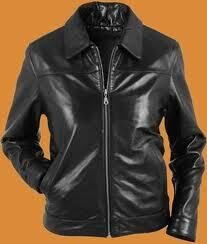 The price of leather is mostly determined by the quality of the raw materials and style of the apparel or accessory. Leather is tear and puncture - resistant. Use a high- quality water and stain repellent product, like our Leather treatment conditioners help prevent water stains and soiling. Our special formula is free of silicone and wax, ingredients that break down the natural oils in leather. We recommend our suede protectant treatment for all types of leather and suede. Apply immediately after purchasing your new leather item, and every two or three months with regular use. 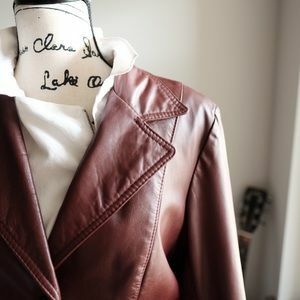 Use a high quality leather lotion on a soft cloth to moisturize your finished leather. Our softening formula treatments that are specially formulated with lanolin oils to replenish natural oils and protect all fine, smooth and grained leather. Avoid using on suede or buffed leather (leather that has a nap). Avoid using cleaning fluid, shoe cream, saddle soap and mink oil. These products contain ingredients that may damage leather. We recommend that you test any protection and cleaning products on a hidden area of the leather. Don't keep heavy objects, such as key chains, in your pockets. Doing so will stretch the leather. Avoid applying hair sprays and perfumes while wearing leather. Don't attach pins, adhesive badges or tape to leather. Repair hems with a small amount of rubber cement. Gently blot liquid stains with a clean cloth. Winter salt stains your leather, wipe with a clean, damp cloth and dry naturally. Visit professional leather cleaner for more serious stains. Normal dry cleaning methods will remove essential oils, causing the leather to crack, fade and shrink. A cleaner who specializes in leather care will use a different method to clean and condition the leather. 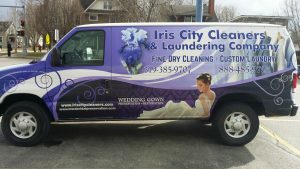 Even this special process may cause slight variations in color, texture, and shape; so it is important to clean matching garments together. If your leather becomes wet, allow it to dry at room temperature. (Never put leather in the dryer.) Then apply our leather suede protectant. Buff suede with a soft towel to restore the nap. If your garment has faux fur trim and the fur gets wet, dry it with a hair dryer set on the lowest temperature. Shake fur during the drying process, and periodically during wear to maintain loft and maximize appearance. 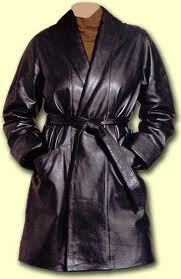 Store your leather coat or jacket on a wide wooden, plastic or padded hanger to help maintain its shape. Store leather in a well-ventilated, cool, dry place. Avoid hot areas, such as attics; or damp areas, such as cellars. 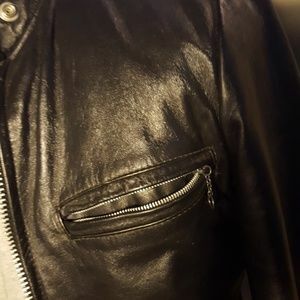 Wrinkles and creases in leather should hang out. If ironing is necessary, place heavy brown paper over the leather and use a cool to medium iron. Take care not to overheat the leather, which will cause it to shine. When it comes to choosing a fine leather jacket, accessory or sportswear piece you want nothing but the best. The best quality. The best styles. And of course, the best value. So you get the look you want. And the quality you demand. All for one reason: great leather. Leather that ranges from various cowhides to lambskin. Leather that works well and wears well. As fashion. As function. As part of the look that reflects you. If you're looking for durability, cowhide's got it covered. It's tough, interlocking structure helps maintain its integrity. Which means it holds up under rugged conditions, as well as regular, everyday wear. It's available in a gamut of weights and textures. And exudes a sensual softness and suppleness like no other. What's more, cowhide responds very well to new techniques in finishing. So you can expect modern, glazed looks as well as traditional, softer sheens. 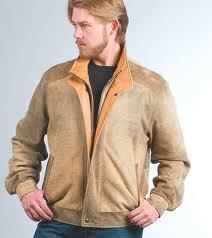 You'll also find cowhide garments and accessories in a wide range of colors. But best of all, cowhide is easy to care for, resistant to water and dirt, and the perfect match for any active, fashion-setting lifestyle. This is pure silk in leather form. Sophisticated, soft, elegant, luxurious. Lambskin can be transformed into the most supple leather by master craftsmen. Its natural lightweight layers give it that distinctive, velvety touch. But don't let its delicate texture fool you. Lambskin is very wearable. Pigskin is a versatile leather that easily transforms into fashion's most current looks. When tanned on the outside, it produces smooth pig napa, often used for jackets and accessories. Tanning on the inside results in a silken pig suede, perfect for sportswear like shirts and blazers. The natural, light-weight structure of pigskin produces delicate patterns, tightly grained textures and silky soft naps. New tanning techniques have created innovative leather surfacing like glazed, subtle sheens and matte finishes in beautiful colors. This affordable, functional leather offers fashion, value and endless style.